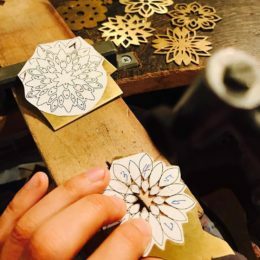 In this event, jewellery designer and maker Rui Kikuchi will talk about her practice and demonstrate the piercing technique sukashibori (also known as openwork or pierced work). Kikuchi used this technique in making her series Grasses of Resilience, which appears in the exhibition Shifts in Japanese Materiality. 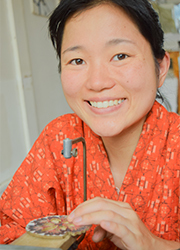 Kyoto-based Kikuchi combines refuse (PET bottles and nails) with precious metals in her contemporary jewellery designs. With organic imagery, her choice of materials references our consumption of natural resources and imposition of synthetic materials on the environment. 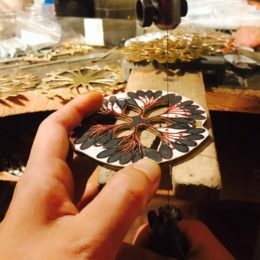 The delicate craftship of Kikuchi’s metalwork offers the designer opportunities for technical and material exploration, as seen in the spectrum of her experimental and fine jewellery practice. 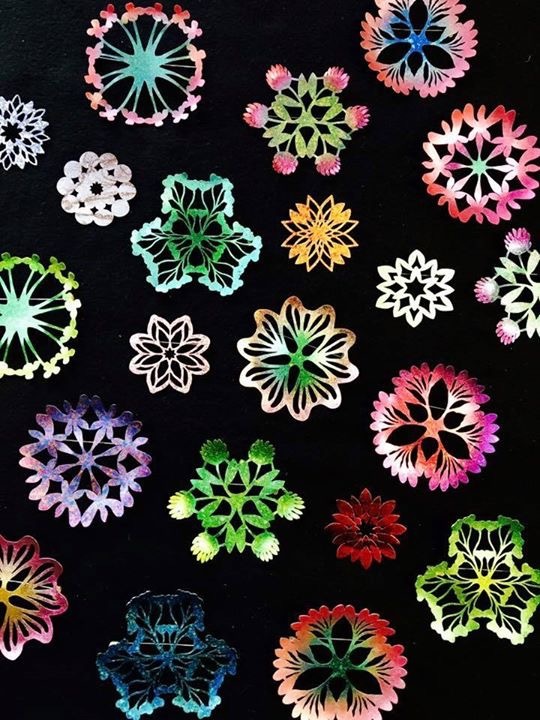 Sukashibori (fretwork) piercing technique. Image courtesy of the artist. Kyoto-born Rui Kikuchi moved to Sydney as a child and spent her formative years in Australia. She studied a Bachelor of Visual Arts, majoring in Object Art and Design at the University of Sydney’s Sydney College of the Arts. 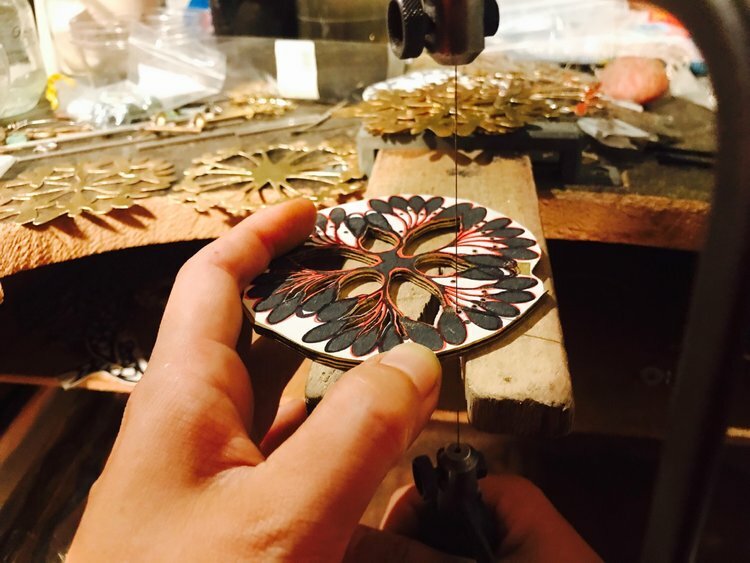 In 2008, she returned to Japan and attended the Itami College of Jewellery in Hyogo Prefecture. 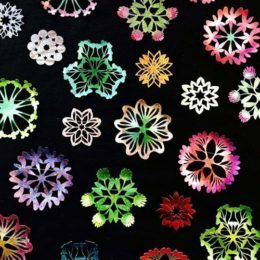 Her works have been widely exhibited throughout the Asia Pacific and Europe, and is part of a collection at the Powerhouse Museum in Sydney. Her works have been published most recently in the ‘Compendium of Contemporary Jewellery Makers’, by Darling Publications in Cologne, 2009, ‘Workbench Guide to Jewellery Techniques’, by Thames and Hudson, London, 2010 and ‘500 Gemstone Jewels’, by Lark Books, New York, 2010. She volunteered in Japan during post-2011 Great East Japan Earthquake and later travelled around the world. 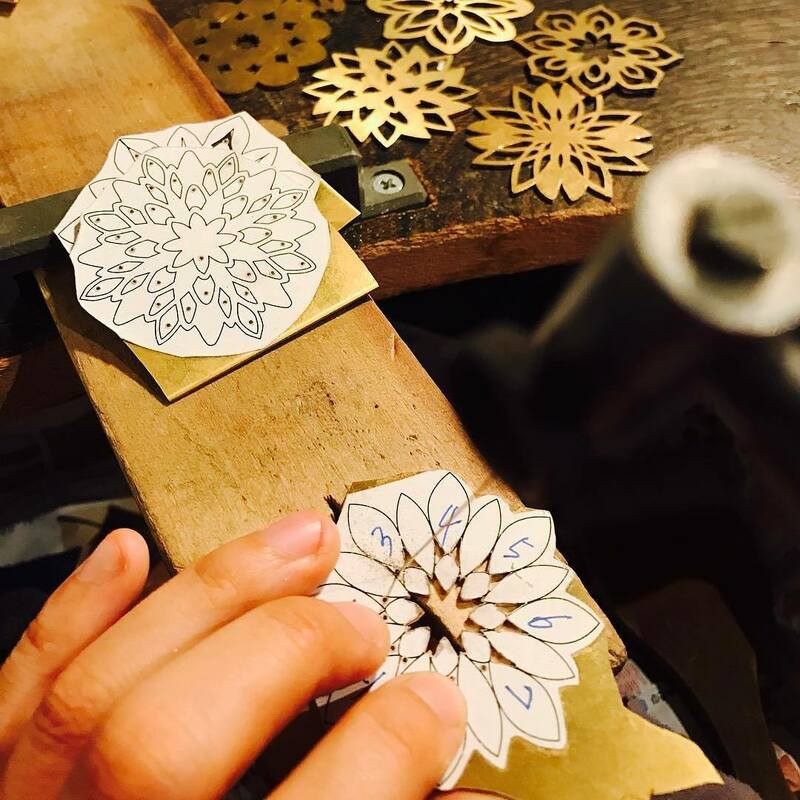 After returning to Japan, she established her studio and the jewellery brand Atelier Rubijoux (Rubijukoubou) in Kyoto.